As part of a workshop I participated in at the end of last year, we were required to develop and partly photograph a project idea in order to work on it during the workshop. Although, I’m not pursuing this particular idea anymore – the week enabled me to extract a separate idea from my initial one, which concentrates on my home town of Barry and it’s industrial and tourism heyday. It’s still very much in it’s infancy though but I’m excited to see how the project will grow. Anyway, this was portrait I took as part of the brief ‘belonging’ – Terry Setch who is an artist and member of the Royal Academy, originally from London but he now lives in Penarth, just outside of Cardiff – and has done for 40 odd years. I had the privilege of spending an hour with Terry, chatting about his practice -towards the end I took the opportunity to take a few portraits. I’m always intrigued to visit artist studios or workshops, as for me, the environment really illustrates something of the character who inhabits it . 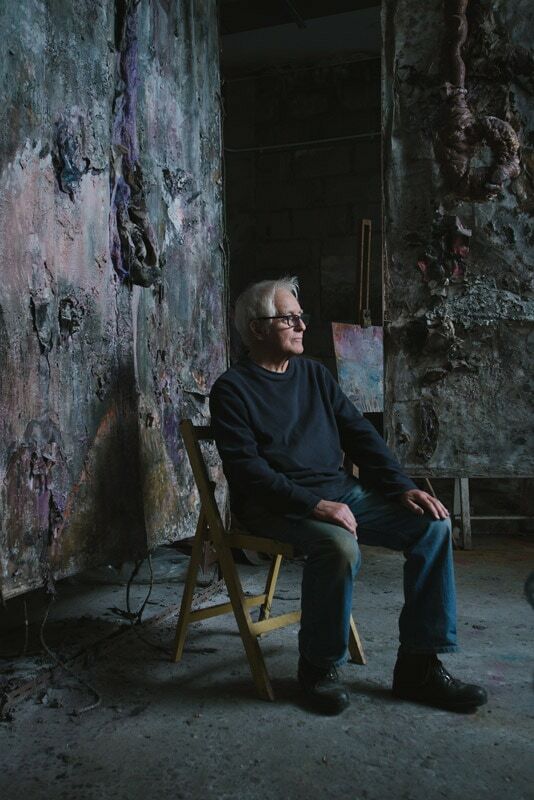 Terry’s studio was no exception – although no vast in size, the huge pieces of artwork are really quite astonishing and it was fascinating to be informed what each element represented and the thought process behind it.